OMG you are right! I am going to give this a try...I hate HST!!! BTW do you know the start to finish ratio? You're right, that is the best way. 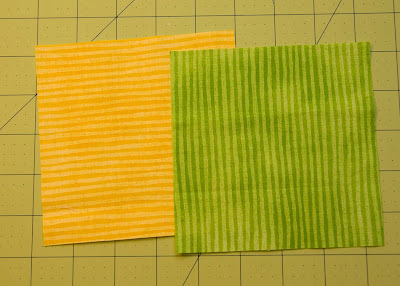 I learned that a few weeks ago from the Missouri Quilt Company website. They have the best tutorials! Holy moly, that's phenomenal! I will definitely be doing this in the future!!! I've seen this before and I wouldn't recommend it fro a beginner because you end up with all of those unstable bias edges. But for everyone else who knows what they are doing it's a great way to do it! I LOVE this! I have to try it... like today! I'm totally trying that today! Thanks for the tip! wow! 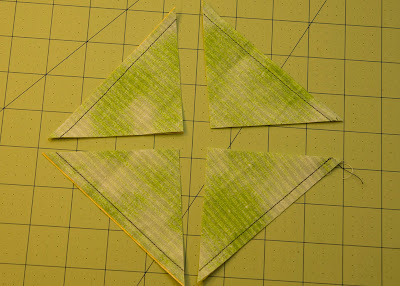 I am planning a hst project in the near future, and will be giving this method a try for sure! *smacking myself on the forehead* Brilliant! Thanks for that little hint. I hadn't seen it done that way before. Possibly no trimming??? Sign me up! I think the accuracy comes from the fact that you're never sewing on the bias. Going to have to try this for sure. Thanks!! You just blew my mind! :) I'll definitely be giving this a try. yup! 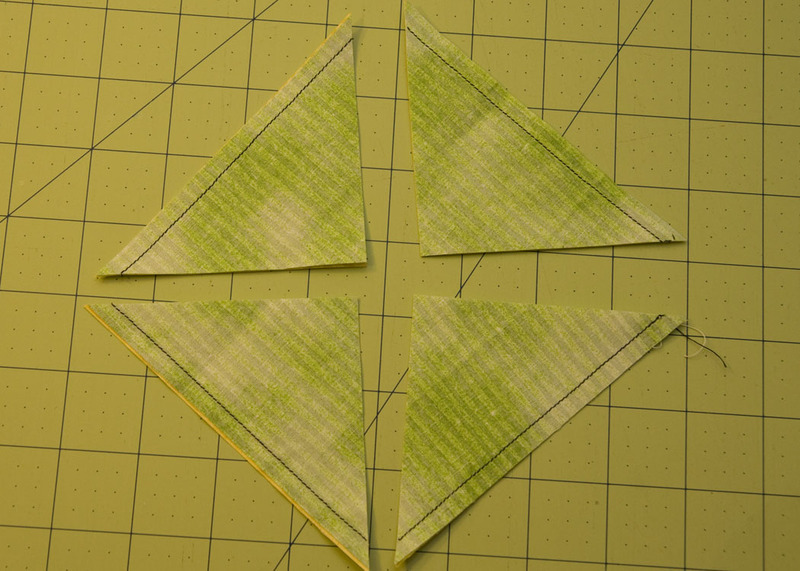 this is my favorite method for making half square triangles. And the suggestion in the comments to make the squares on the bias originally is an interesting one. 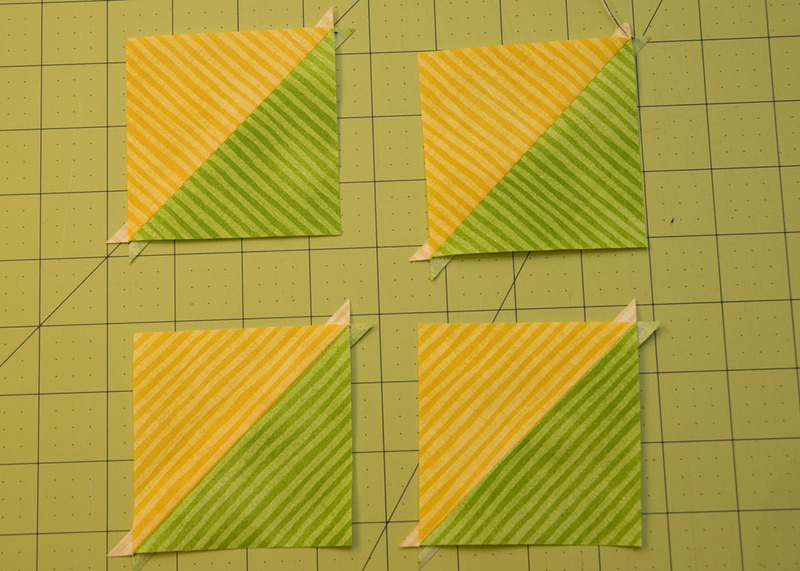 I've always found this method helpful for precuts, but if you were cutting your own squares, that may solve the bias edge problem! Oh my gosh, that's great!! ::Gasp! :: seriously I just made an audible gasp as I scrolled through this! WOW Thanks for the tip - I may be trying HST's soon! I am so glad you like it, I have to admit I didn't create it, but like Karenkay said I saw it somewhere on a quilt company's website in a video. It's converted me for sure!! Very clever....I love clever methods. Please give your husband a big juicy kiss for coming up with the math so we don't have to figure it out. Not that we couldn't if we were willing to sacrifice some of our precious quilting time. Thanks for the great tutorial. Isn't it amazing when you see something done and you're like WHOA, I can't believe I never thought to do it like that! 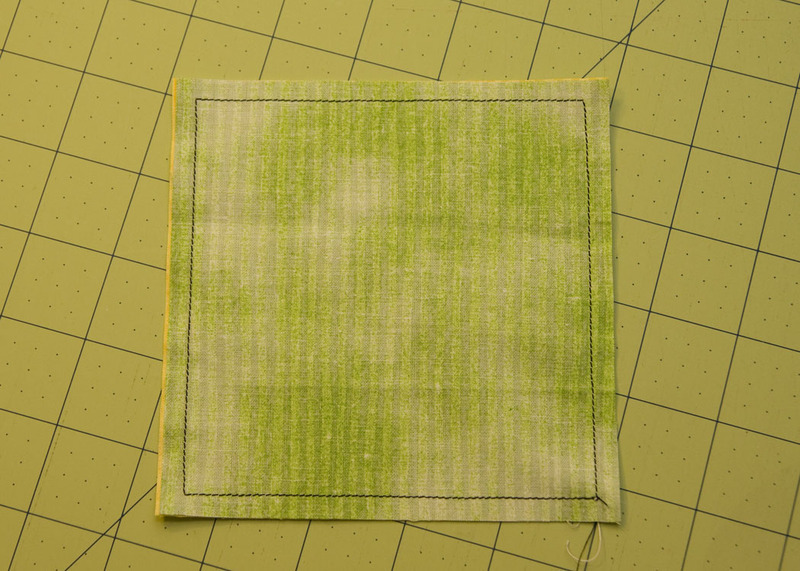 I just watched a quick youtube video about sewing a "tube" to make squares and was amazed at how simple it is. How on earth did anything get done before the ingeniousness of videos on the internet??? 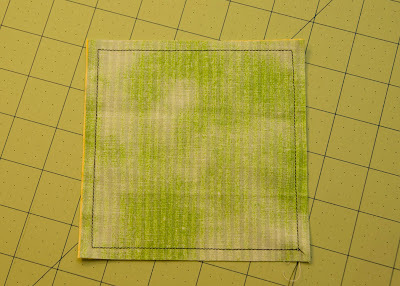 Jenny Doan of Missouri Star Quilting Company demonstrates this on youtube and also in the Quilting Quickly I course on Craftsy.com Just remember, whatever size squares you start with, they are going to be cut into four smaller squares. So if you would normally be using two charm pack squares to make 5 inch HST's then you need to use a layer cake (10 inch) for this method and you'll end up with four 5 inch HST's. What I would like to see added to this post is the "quilt math". You know: if I want a 2-inch or 2.5-inch or 3-inch finished HST, how large do I have to cut the squares? 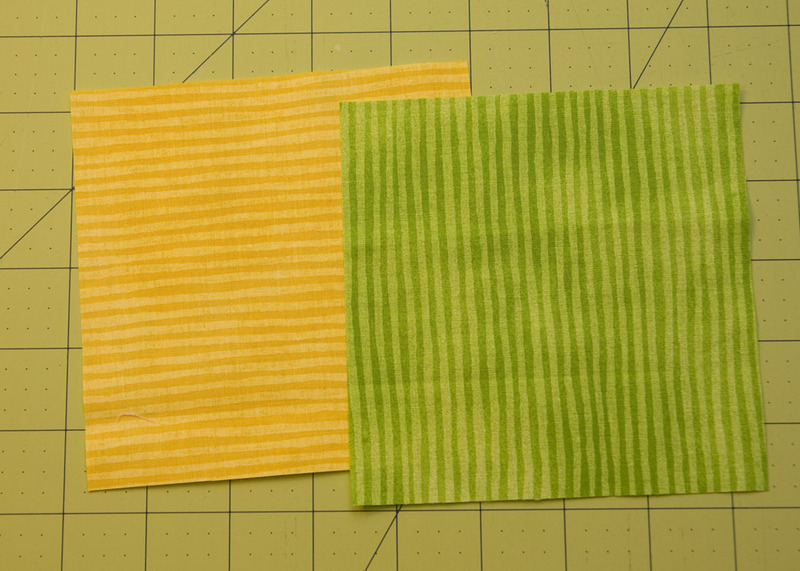 loved it too when I discovered it, but when I learned of 8 HST at a time with no bais edges on Quilt-in-a-Day by Eleanor Burns...well, it takes the cake. Nice tutorial. We'll be linking up from My Heritage Fabrics. THanks for sharing. Came across you post while surfing the net. 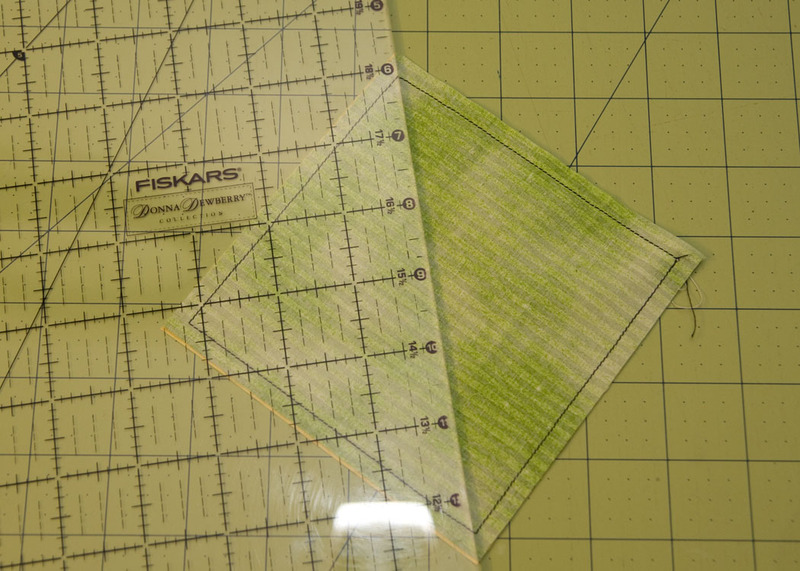 If you don't want bias edges, cut you starting square bias, meaning point up. 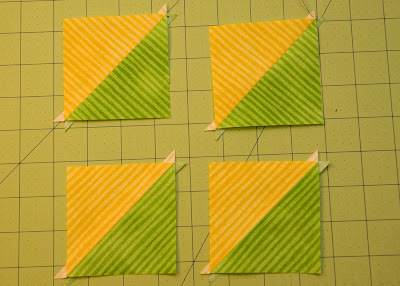 Follow you tutorial, cut and voilá...hst with straight edges!